Researching and writing evaluation reports is fascinating and enjoyable part of my work. It is a privilege to be able to follow project teams and volunteers as they deliver complex community activity and then to be able to reflect back to them the impact their work has had. Excavating for Abberley Castle. An added bonus of evaluating the Medieval Abberley Revealed project! 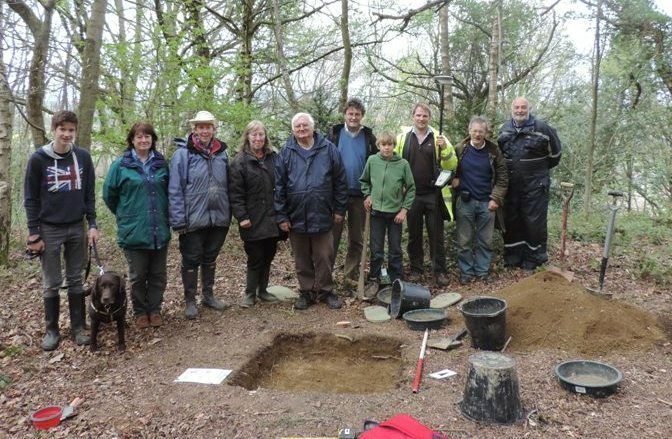 This week, I finished work on the evaluation report for MEDIEVAL ABBERLEY REVEALED, an HLF-funded Medieval Abberley Revealed community archaeology project which took place over 12 months, and built upon the enthusiasm for local history sparked by the popular Abberley Lives 20th century history project of 2012-2013. Participation levels on this project were really high, with over 13% of the village either volunteering or attending an event. The social and well-being outcomes were very strong – even long-time residents expressed how much they had enjoyed meeting new neighbours and volunteering with friends. This was the first project evaluation where I was able to use multi-media sources to provide evidence of activity. Several of the participants have very active social media feeds, so I was able to collate real-time responses during activity and save them using Storify. I also trained project volunteers to be able to blog so that they could encourage each other to share their reflections online via the Abberley Lives website. Furthermore, with the advice and assistance of Clear Picture Productions, I have also recorded and edited my first short films for the project website that capture the excitement and curiosity generated during live events. Thanks very much to Abberley Hills Preservation Society for hiring me to do this lovely piece of work, and for giving me the chance to explore new means of gathering evidence.